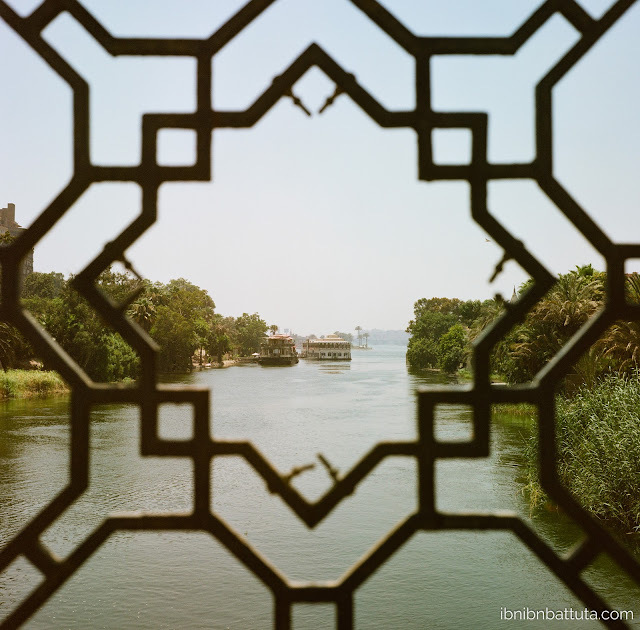 From a footbridge connecting Roda Island to the Nile's east bank, it's almost hard to see that you're at the very heart of Cairo, a singular, cacophonous metropolis of 20 million people. This is the third in a six-part series on my 2017 trips to Egypt. 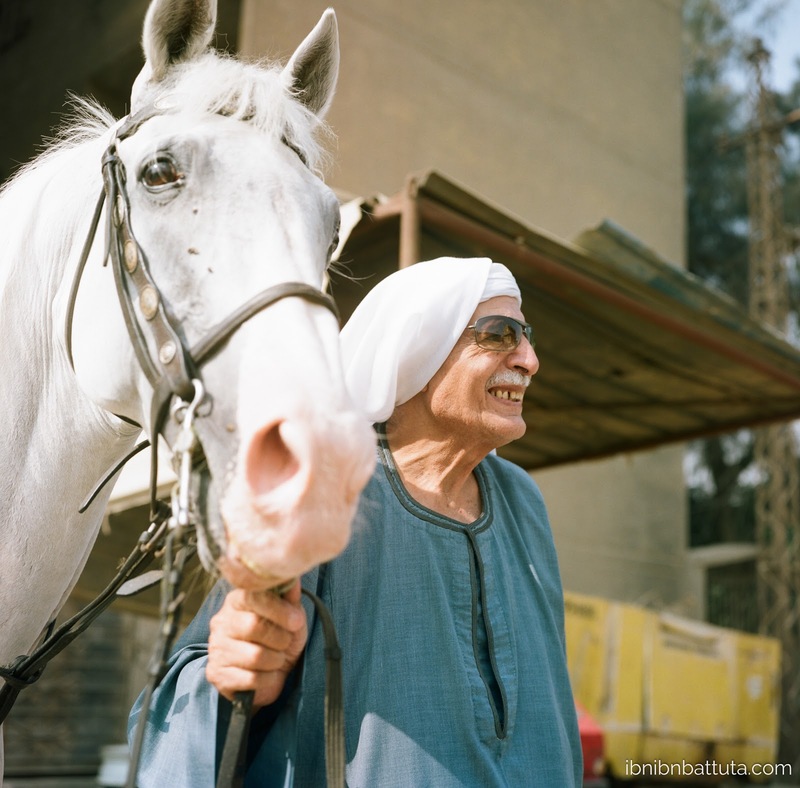 Read the first here: "To Egypt, At Long Last", and second here: "Daily Life in Giza, Straight from the Horse's Mouth". Cairo's name comes from its founding by early Islamic warriors (القاهرة, al-Qahirah, is Arabic for "the conqueror"), but these days it's the Egyptian capital's staggering size that vanquishes and overwhelms the visitor. Cairo, the city, holds more people than 46 of the US's 50 states, and more than over two thirds of the countries on Earth. Its population of 20 million exceeds that of the world's bottom 75 countries combined. With those facts in mind, you can guess what a head-spinning experience it can be to visit Cairo. And while it was indeed massive and unruly, in truth I didn't find Cairo nearly as chaotic, overwhelming, or generally miserable as I had been led to imagine by decades of exaggeration from friends. Perhaps it helped that I started slow. Guided by my then girlfriend (now wife) Nina, who lived in the city as a young girl, I got my first taste of Cairo in the care of her close family friends, average Egyptians making ends meet in the down-and-out suburb of Nazlet El-Semman. This is the second in a six-part series on my 2017 trips to Egypt. Read the first here: "To Egypt, At Long Last". If Nina had told me, when I first met Amr Ghoneim, that he was Omar Sharif's little brother, I probably would have believed her. Not just because he was Egyptian, or sported a similarly dashing mustache, but because like the famed actor, Amr exuded an unspoken charisma. He used his words sparingly, preferring to let his demeanor do the work of inspiring servers, porters, neighbors, and friends alike to scramble about in anticipation of his bidding. Amr is the doyen of a vast lower-middle-class family in Nazlet El-Semman, the neighborhood just adjacent to the pyramids of Giza. The area was an outlying village during Amr's childhood in the 1960s, and he and his neighbors still call it "the village", though in reality Nazlet El-Semman has long since been subsumed by Cairo's rapacious spread. It was here that my Egypt experience began. Wisely, Nina had suggested that we spend three days in Amr's care before heading into central Cairo, where she would attend a conference while I explored. Those days in "the village" gave me a chance to get my cultural bearings before the onslaught of downtown. 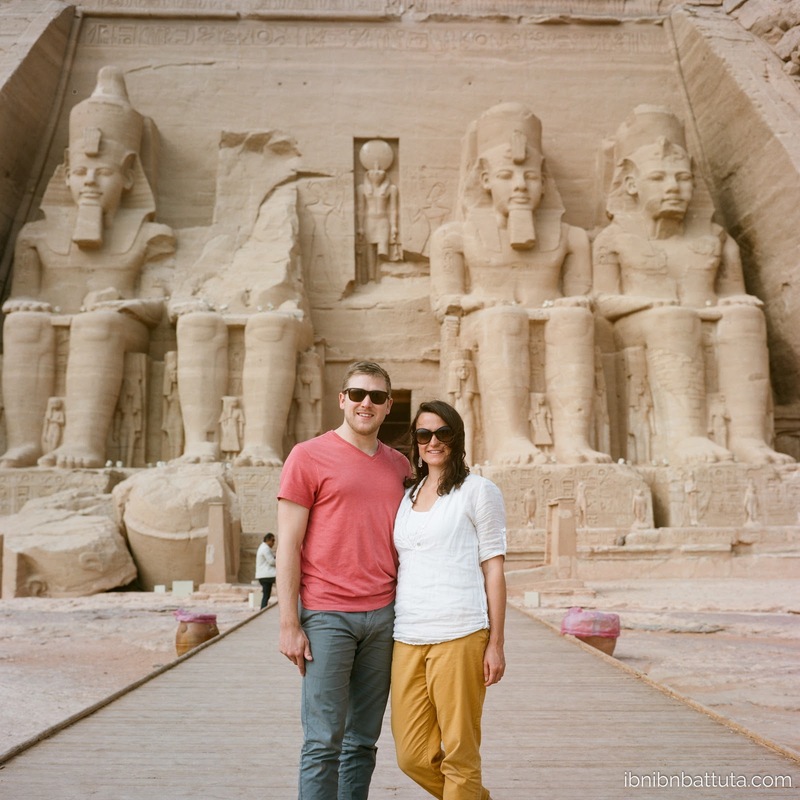 For years, I resisted all attempts to drag me to Egypt. Of late, the place just sounded like a mess, wracked by the throes of its post-Arab Spring upheavals, its economy in shambles. 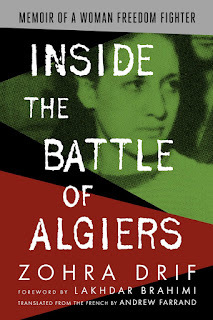 But even before the revolution, friends—including the most hardened of travelers—returned from Egypt with horror stories of the street harassment, the aggressive touts at every tourist site, the filthy streets and smog-filled air, the overcrowding and poverty. And even before I knew about all that, I was just another young over-achiever in Arabic class at Georgetown, looking to spend a semester or two in the Arab world honing my language skills and experiencing the culture firsthand. What destination could be more obvious than Cairo—epicenter of the Arab world, the city where nearly every aspiring Arabist had cut their teeth? But, ever the contrarian, I opted—precisely because the choice was so clear—to leave Cairo to my classmates, and instead head off alone to Damascus and Amman. After the Levant, life led me back to DC, then to North Africa. And that's where I met Nina. 2018 was an exciting year here at Ibn Ibn Battuta, starting with two more viral Arabic-language videos—the first by my friends at Allaqta ("Americans in Algeria Speaking Arabic") and the second on El Djazairia One television ("People and Stories: 'Foreigners Who Love Algeria' Edition"). I also shared reflections on a weighty trip to the Sahrawi refugee camps in Tindouf, Algeria, while delaying many other travel updates until the new year. (Coming soon!) 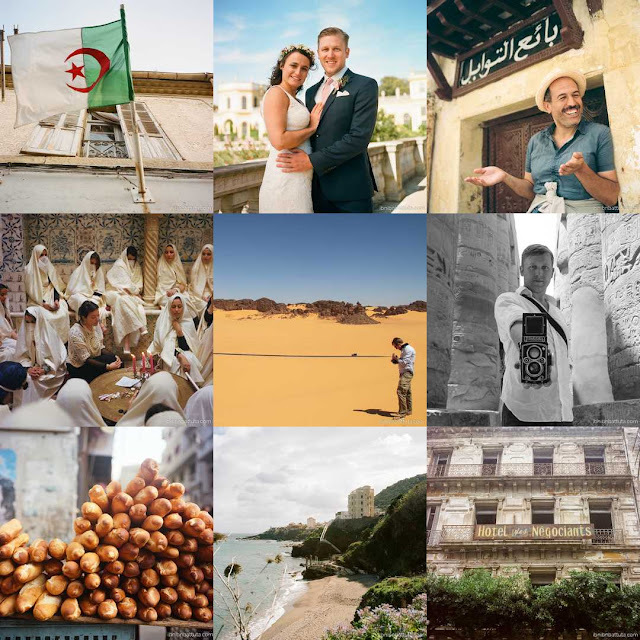 I had great fun compiling a treatise on photography in the modern era, lists of my favorite photography inspirations on Instagram, a rundown of the best Algerian gifts, and (for the fourth consecutive year!) a new Algeria wall calendar. Far more importantly, I announced the real-world milestone that defined my year: my wedding to the bold and brilliant Nina! Then there was also the addition of Chorba to our happy little family. 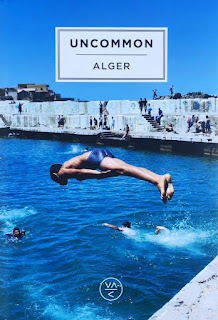 And I published photos in a new hotel in Algiers, a photo in a major museum exposition in Vienna, and a translation of a speech by leading Algerian author Kamel Daoud. 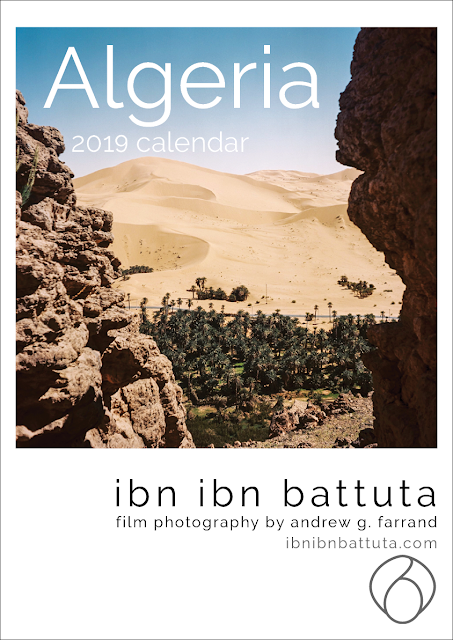 The New Year is just around the corner, and if my latest article didn't already inspire you to buy Algeria-themed gifts for everyone you know, now is your chance! ETNIZ offers the calendars for delivery across Algeria: Order here. 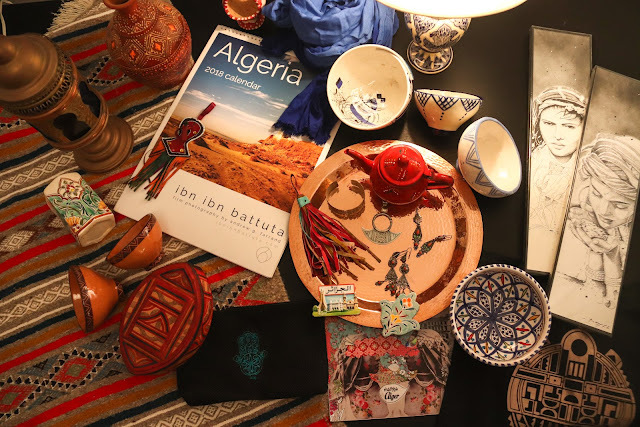 Surely the largest country in Africa—at the crossroads of Africa, Europe, and the Arab world, with its own homegrown Berber traditions—has some souvenirs worth taking home? But of course! It just takes a little searching... or a savvy guide. While neighboring Morocco has made a name for itself selling exotic trinkets to visitors, with Tunisia not far behind, Algeria's arts and handicraft scenes are much less developed. In part, that's because far fewer tourists visit the country, leaving Algerian artists and artisans with a limited market. But throughout the country, a brave handful have kept many traditional crafts alive, while today a new generation of enterprising creators are experimenting with modern updates and fusing local styles with international ones to great effect. In nearly six years of living here in Algiers and crisscrossing the country, I've scouted out every potential souvenir I can find. I also recently solicited ideas from my Facebook followers and received some great recommendations! I've reviewed them all and come up with my own (admittedly Algiers-centric) list of favorites. While many of my selections come down to personal taste, Algeria's artistic scene is diverse enough that there's something for nearly everyone here—including the Algeria-phile on your holiday gift list. Of course, it’s not about absolving the West to please them: I don’t live there and I’m no fan of moral compromises nor of denials. Colonisation was a crime, but so too are our present failures. The elites of the "South" must accept it and stop denying it by accusing those who don’t think like them of being traitors. Literature is the only nearly universal dialogue of which we are capable and that gives us the unique privilege of making conversation with strangers, with the distant and the dead, with those who are not yet born and those who dislike one another. To read is to soothe, and not just to travel. These disparate passages both come from Algerian author and journalist Kamel Daoud's latest piece, which I translated for publication yesterday at regional news-and-commentary site Middle East Eye. Daoud originally delivered the text as a public lecture earlier this month in Lausanne, Switzerland. Middle East Eye published it in the original French under the title "Tous les livres sont sacrés" ("All books are sacred"), but selected a more pointed headline for my (uncredited) English translation: "Blaming the West is not enough: We too are responsible for this calamity". A series of my film photos now grace the walls at the M Suite Hotel, a chic property that opened this month in Dar El Beïda, on the eastern outskirts of Algiers. 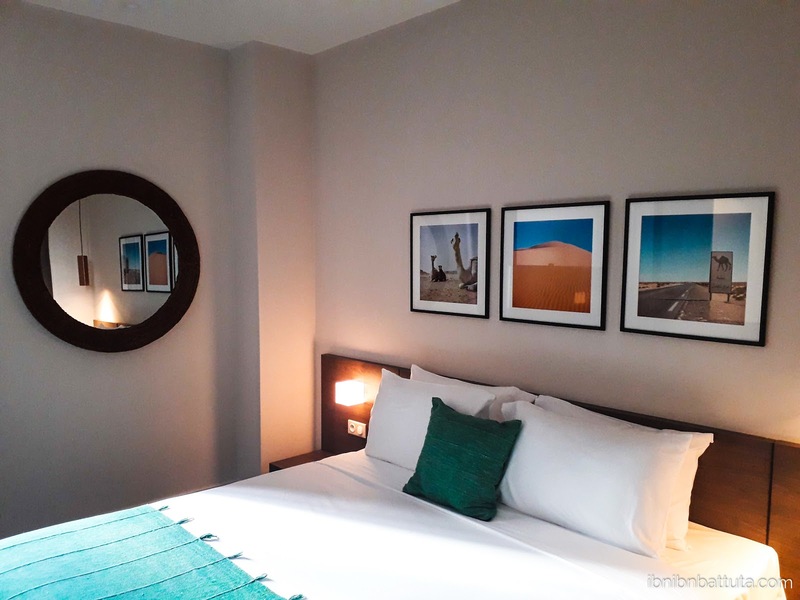 To stand apart from the depressingly sterile hotels sprouting up across the capital's suburbs, the M Suite owner chose to highlight Algeria's diverse beauty as the hotel's core concept, selecting different cities and regions as themes for the hotel's 52 rooms. It's a concept I was—no surprise here—eager to contribute to. For nearly a year, I've been working closely with the hotel's artistic team (from Al Marhoon Gallery) to select and prepare works, ultimately printing and framing several dozen that now hang in rooms celebrating the architectural, natural, and cultural splendor of places like Biskra, Taghit, Algiers, Oran, Constantine, Adrar, and more. Best of all, my photos stand alongside works from great homegrown photographers, as well as pieces by eminent modern Algerian artists like Mohamed Belaid, Rachid Koraichi, Hamza Bounoua, El Moustache, and others. These works complement built-in architectural accents—from a multi-story moucharabieh screen to each room's unique combination of vivid tiles and and elegant wall inlays—that give the hotel's modern aesthetic an unmistakably local flair.